There are so many things to see in Rome, Italy, it can be difficult to know where to start. 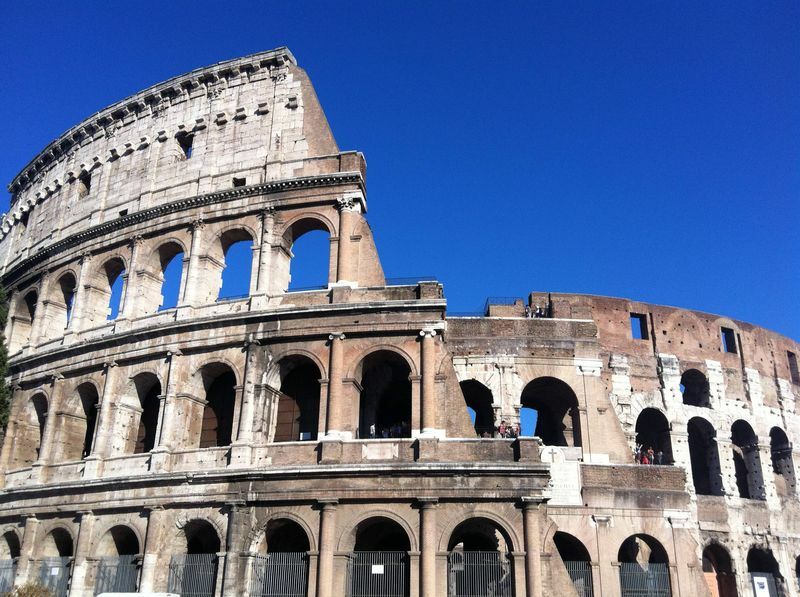 When we were planning our trip we pulled together a list of the most famous Rome tourist attractions we wanted to visit. 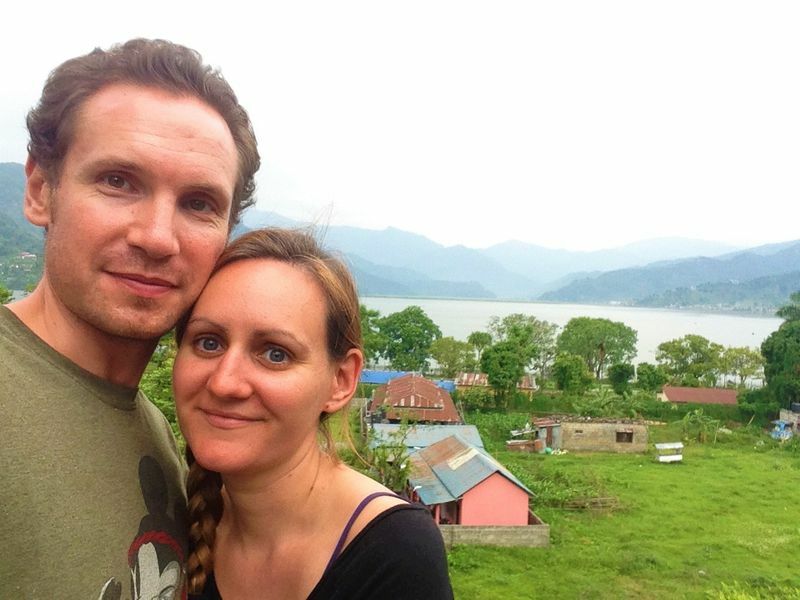 Surprisingly though, it was many of the places and areas we stumbled across by accident that we loved the most. Here are our top 10 things to do in Rome and information about Rome entrance fees. The Colosseum is usually the first thing that comes to mind when you think of Italy and one of the top tourist attractions in Rome – and for good reason. It boggles the brain that such a massive structure, built so many years ago can still be standing in such good condition. I knew about the bloodthirsty nature of the Colosseum, the gladiators and lions and fights to the death, but I had no idea just how elaborate the settings were. At one point they even flooded the arena to create a battle on water. It reminded me of the Hunger Gamers and the crazy lengths reality TV producers will go to in order to shock their audiences. It was the stories of the ordinary Romans who flocked to the Colosseum that interested me the most; the graffiti and pictures of their favourite gladiators that they carved into benches, the tiny bone toothpicks, dice and ancient grape seeds they found in the drains. All these things created a vivid picture for me of the people who went there to gossip and be entertained, to socialise, eat and fight – it reminded me of how similar humans are, however many decades apart they live. Cost – it costs €12 to visit the Colosseum. EU citizens who are teachers or aged between 18 and 24 get a reduced rate of €9, while if you’re under 18 or over 65 and from the EU entry is free. 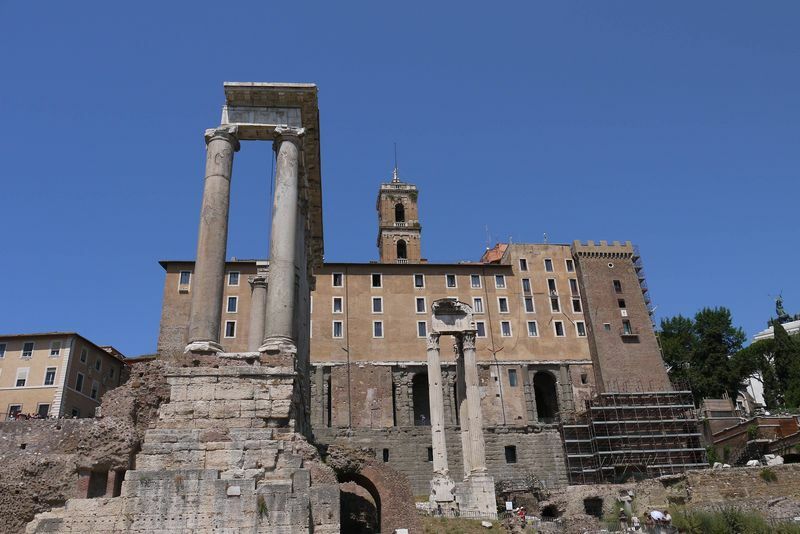 This price includes entry to Palatine Hill and the Roman Forum. Find out in this post how much we spent during our trip to Rome in total, including a day trip to Pompeii. Where to get tickets – you can skip the queue for the Colosseum by getting your ticket from the Palatine ticket office, which is five minutes’ walk from the Colosseum itself. Alternatively, you can get your Colosseum tickets here. How much time you’ll need – allow at least a couple of hours to see the Colosseum; there’s a fair bit of information inside to look at. The crowds might also slow you down; we needed a couple of stops to rest in the shade. The Pantheon was one of our favourite buildings in Rome and if you think it looks impressive from the outside, wait till you see the inside. A huge skylight in the top of the building lets sunlight flood into the building, acting as a sundial; the walls, floor and columns are made from stone and coloured marble which looks as grand as it must have done when it was first built. Again, I was struck by how sophisticated the Roman design and building techniques were – you can see why people still find this an awe-inspiring place to visit and worship in today. 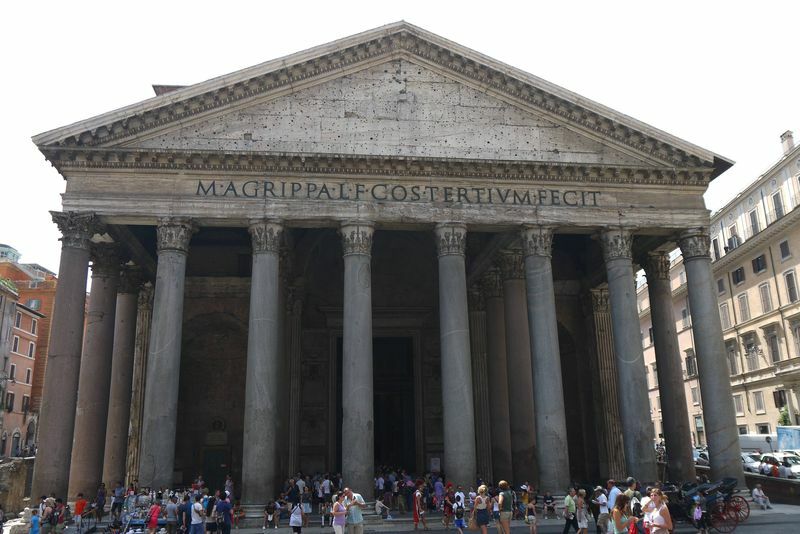 Cost – it’s free to visit the Pantheon. There are five catacombs in Rome, we chose to visit one of the most favourably reviewed; Saint Callistus, located in the South of the city. Getting there turned out to be a bit of a pain, we got the metro and walked across what looked (on the map) like a small park – in actual fact it took us an hour to walk across in the brutal midday sun. It was worth it though to climb down in the catacomb, the air cooling with each step we took. The walls around us were filled with rectangular markings – behind which lay ancient bones; many child-sized. The tour guide led us down the narrow halls into larger family crypts, the air earthy and metallic, telling us stories of how the catacombs had been ransacked during the persecution. It was an eerie, sobering experience and we were glad to emerge back into the blinding sunlight at the end of it. Cost – it costs €8 to take a tour of one Catacomb – there are five in Rome. Where to get tickets – you can buy tickets at the site. How much time you’ll need – a tour takes around half an hour; they don’t run during the lunch period (between 12 and 2pm). 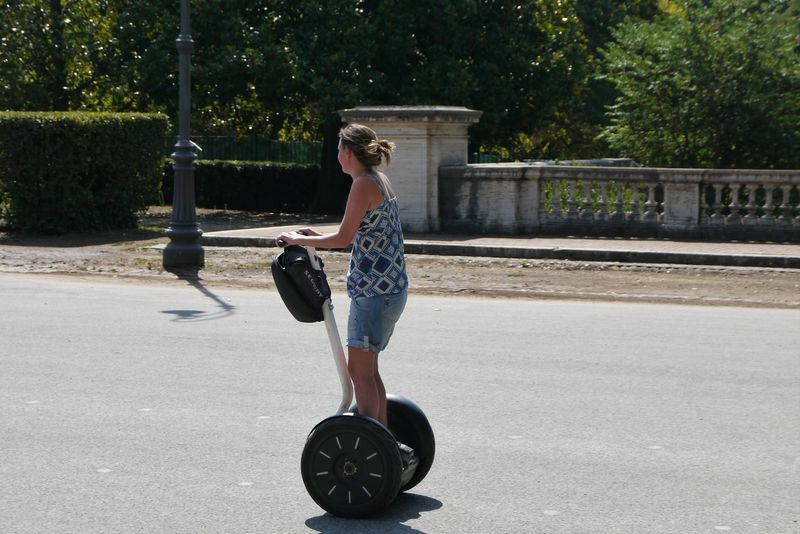 The funniest of Rome activities – I was desperate to get on a Segway. For some reason I just find the sight of people floating along on these machines absolutely hilarious. When I eventually got on one though, I have to say I was a little bit scared; it takes a moment to adjust to controlling something with your balance alone. I managed ok on the Segway though and was whizzing around the park in no time; I would have loved to rent one of these for a day. Cost – prices vary, but the company we used charged us €8 Euros to rent a Segway for half an hour and €15 Euros for one hour. Where to rent a Segway in Rome– the company we used rented Segways from the Piazza del Popolo and the park behind it. 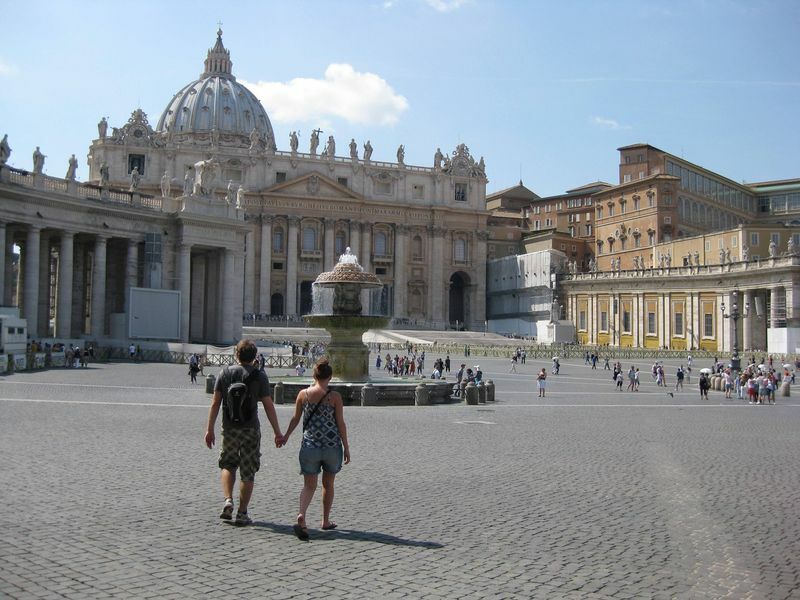 You can rent them from various other places around Rome or choose to do a full tour on one. We spent our first day in the ancient, historical part of Rome, which felt like a completely different city to the one we discovered walking from the Trevi Fountain to the Spanish Steps. The steps themselves lead up to an impressive church, the Trinita dei Monti, but it was the view from the top that we loved the most. 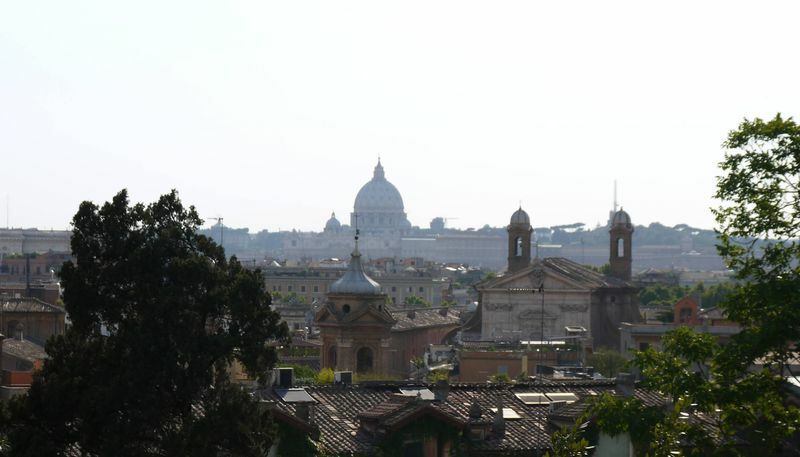 Once you get past the persistent rose sellers you have a clear view across the city; of the huge domed buildings and the Vatican surrounded by the orange and red clay rooftops peppered with green roof gardens. The Spanish Steps were one of our top things in Rome. Cost – it’s free to visit the Spanish Steps. The piazzas are some of the best places to visit in Rome and provide great open spaces to wander around and take a moment from the bustle to stop and look. Our favourites were the Piazza del Popolo and the Piazza Navona, which are both decorated with intricate fountains and statues. 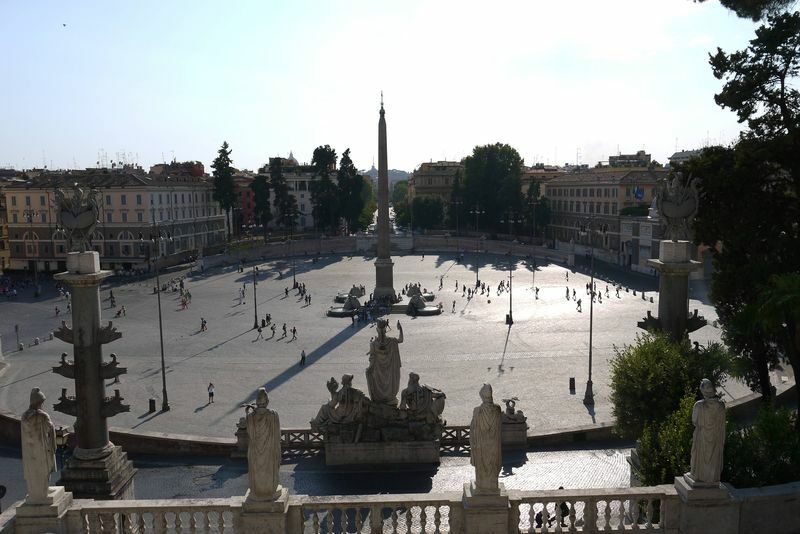 Cost – you can visit all the Piazzas in Rome for free. We spent a long, dusty few hours wandering around Palatine Hill and the forum, looking at the ruins and trying to imagine what the whole thing must have looked like back in the days of the Roman Empire. We were disappointed that there wasn’t much information about what we were looking at, and in retrospect, maybe we should have taken a tour. We also underestimated just how big the space was and it took us longer than anticipated to get around – there are some great view points from the hill though. Cost – it costs €12 to visit the forum and Palatine Hill; entrance to the Colosseum is included in this price. If you’re an EU citizen aged 18 to 24 you’ll get a discounted rate of €9; EU citizens under 18 or over 65 can visit for free. Where to get tickets – the Palatine ticket office near the Colosseum. How much time you’ll need – you can spend a whole afternoon on this; there’s a big area to explore and lots of stunning views over Rome you’ll want to stop and look at. We visited the fountain several times while we were in Rome at different points in the day and it was always rammed with tourists; one side of the fountain was also covered in scaffolding, which kind of ruined our photos. While it’s certainly worth a look and is an impressive monument, the Trevi Fountain wasn’t one of our favourite sights in Rome. 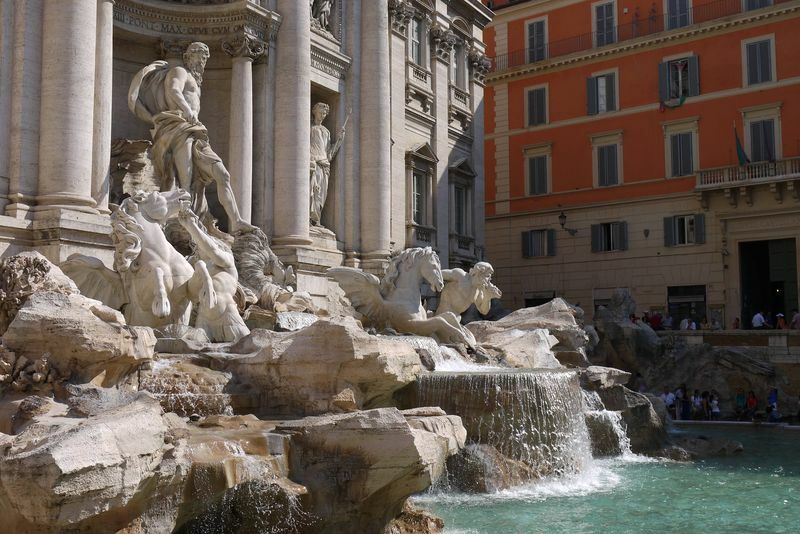 Trevi Fountain entrance fee – it’s free to visit the Trevi Fountain. 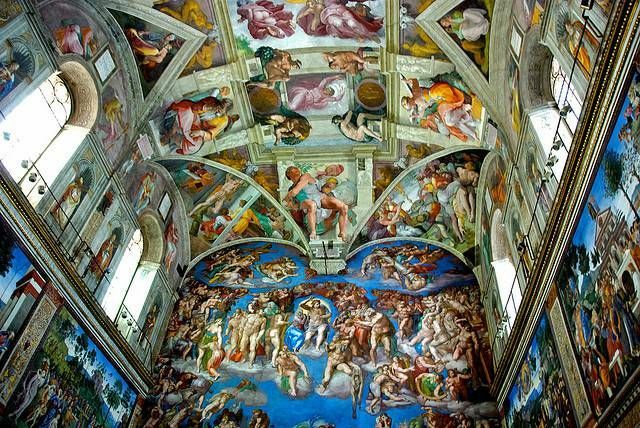 Visiting the Sistine chapel in the height of summer was a mistake. Having just spent hours being herded around the Vatican museum, at times in a shoulder-to-shoulder shuffle with hundreds of other tourists, we were sweaty, fed-up and weak with hunger by the time we actually got to the Sistine Chapel. The artwork itself was incredible and definitely worth seeing, but it would have been so much nicer if the room hadn’t been packed with people and security guards constantly telling people not to take pictures, talk or sit on the steps. I just didn’t feel like I was able to take it all in properly under such crowded circumstances. I bet if you went there in low season it would be an entirely different story. Cost – a ticket to the Sistine Chapel and Vatican Museum cost us €26.50. Our ticket included entrance to St John’s Bascillica in the centre of Rome and allowed us to skip the queue. Where to get tickets – you can get tickets from the main office outside the Vatican or book a private tour. How much time you’ll need – allow at least three hours (in peak season) to get through the Vatican museum to the Sistine Chapel. This is often described as one of the top attractions in Rome and one we felt we had to see, if only just to get to the Sistine Chapel at the end. If you’re interested in and know about art, like my friend Jo who joined us on this trip, you’ll likely have more fun here than we did. To me the artwork had a sinister undertone, even the gold and glittering pieces. Many of the pictures depicted people being tortured and executed, there were also a lot of fleshy, nightmarish babies which creeped me out. As we got further into the museum the crowds got thicker and looking at anything in detail started to become impossible. Again, I wouldn’t recommend visiting in peak season. 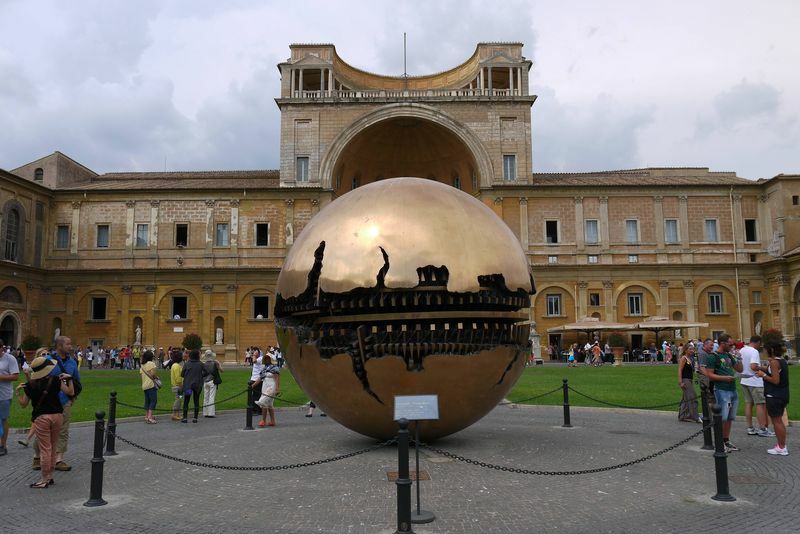 Cost – it costs €26.50 to visit the Vatican Museum – see Sistine Chapel info above for more details. There are hundreds of hotels and hostels in Rome, so there’s something to suit all budgets. It’s a good idea to book in advance because the city is busy year-round. 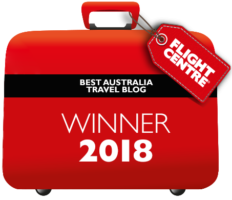 We use booking and review sites like Tripadvisor to read reviews before we choose where to stay. When we visited Rome, we stayed at the Termini Station Rooms, which was in a great location near the train station and top places to visit in Rome. The room was comfortable yet affordable at £35 per night for a double. 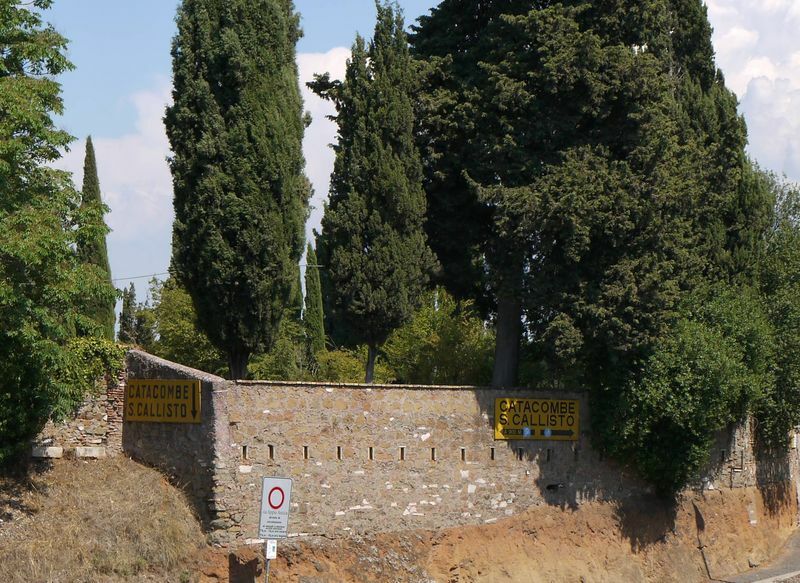 We also stayed outside of Rome in Family Park I Pini, which ran a daily shuttle service into the city. 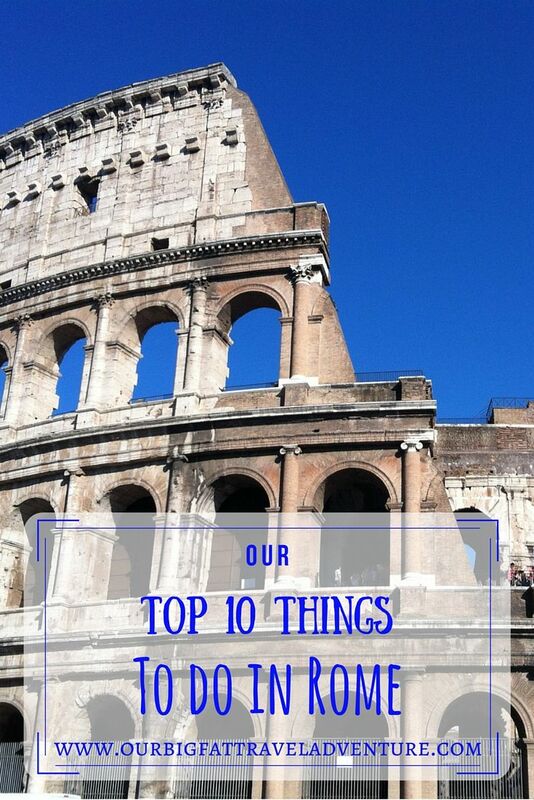 What do you think of our top 10 things to do in Rome? Did we miss anything? Seems unfair that USA extends senior citizen discounts to all and Italy/EU only to EU citizens. I agree Joe; no idea why they chose to do that.